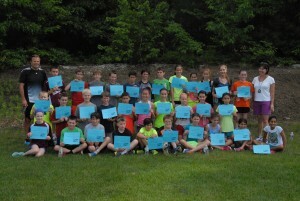 The best of the best run the mile in hopes of topping their best time at Mill Pond School’s Elite Mile. I live in NH but am the grandma of kids in the Westborough School System. It is great to be able to get Westboro TV on-line Weekly Wrap-ups and get a glimpse into what is happening in the school system. I occasionally spy my grandkids taking part in their sporting and musical activities. Love it!!!!! !